Soladvisor does just that…advise you on switching to solar. Though their ultimate goal is to increase solar use, they often get mistaken for a solar panel manufacturer and they sought Luminous to produce a website and video that made their purpose clearer. 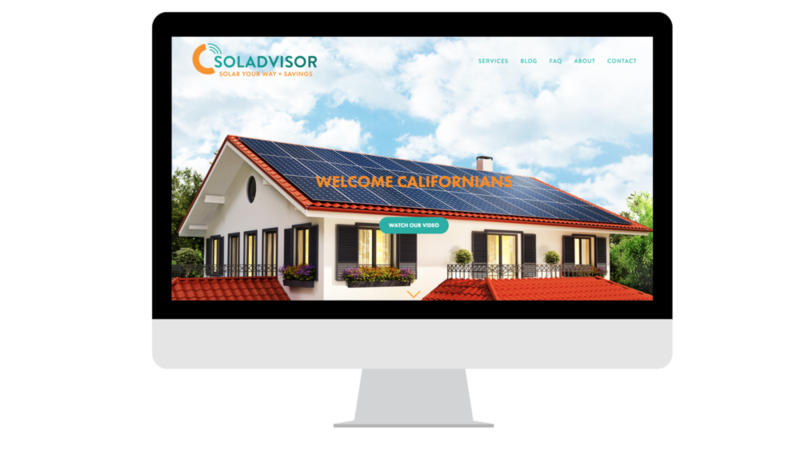 We brought our signature modern minimalism touch to a visually appealing web design along with a crisp, polished video that gave visitors an overview of the work Soladvisor does and why they are the perfect source for solar information. Soladvisor, whose primary customer base resides in California, was encouraged by a heavier flow of traffic to the new site to expand their brand nationwide, attracting curious potential solar users to Soladvisor’s staff for consultation. We also developed a complex booking system that allows visitors to schedule phone calls with the Soladvisor team at their convenience.